Loot boxes are everywhere today. Be it high end clothing, whiskey of the month, or even geek culture it seems like there is a box service for almost any interest. So when we were approached by Wayne Smith Jr to see if we were interested in reviewing his box service, Deonte Box, we were thrilled to have a look! We had just one rule. That we were going to be brutally honest with our review because you, our Souper Friends, deserve nothing but our honest feedback. He agreed and our discovery of Deonte Box was underway! First a full disclaimer. Each of us received a free box from Deonte Box for review. This is NOT a paid advertisement or promotion of Deonte Box, instead it’s an honest review of a product we had the pleasure of reviewing. All thoughts and opinions in this review are ours and ours alone. AKA we aren’t just going to say nice things because we got something for free. Too many boxes, so little time? The best gift comes in one box! Why spend hours online shopping for the perfect gift when we can do it for you. We, at Deontebox, are your shopping concierge. We have everything from Clothing, Jewelry, Shoes, Novelties – Tv, Movies, Superheroes, Classic TV (I Love Lucy, Golden Girls), Video Game themes and more. With another disclaimer at the bottom of the site saying the following. I know the site can be a little confusing. This is a new take on subscription boxes. Unlike other box companies that tell you what themes they will have monthly, I’m giving the customer a choice. I allow the customer to tell me what theme that they would like and how they would like it curated. Would you like a hoodie, a cell phone case, a journal, a teeshirt? Are you into clothing, shoes, and purses? If that’s more your speed, I would get your sizes and the style of clothes you like to wear. I do novelties, clothing, home goods, Spiritual, Meditation and yoga boxes. Also, you can check out their promo video here. Pretty crazy right? So much choice, so much possibility. The process for us was pretty smooth. After agreeing to do the review he asked for our shirt sizes and then asked us to provide him with a little bit of info regarding what sort of box we wanted. With a bit of thought Jason said he wanted a Nintendo character themed box, Adam wanted something matching his enjoyment of Indiana Jones and The Goonies, and Usually Dave said to surprise him with something to do with the X-Men, Deadpool, and Batman. With that Wayne was off to curate our boxes and get them shipped out to us. The process felt like it took a little longer than we expected, but in retrospect considering that he curates each of these boxes before shipping, the time frame seems about right. From start to finish it took about 4 weeks, we gave him our interests on March 12th and received our boxes April 6th. Usually Dave, being the photographer that can’t stop tinkering, made some quick photos of his items and we’ll see those in a bit. But rather than list out every single item here, the three of us made an unboxing video that you can check out right now! Not too shabby hey? Overall it’s safe to say that we were pretty pleased with the items we received and Wayne did a nice job of hitting some fun loot for each of our interests. Individual thoughts on the boxes – The good stuff first. When it comes to the pool of geek boxes I had never never dove in, not from a lack of interest but a lack of necessity. How could I justify fulfilling my nerd needs when there were diapers to buy and rent to pay? As Adam says on the show, “I can’t afford that! I’ve got KIIIDS!” Luckily a company named Deonte Box decided to make my dreams come true. Lets break down the “Cool” and the “Stool”. 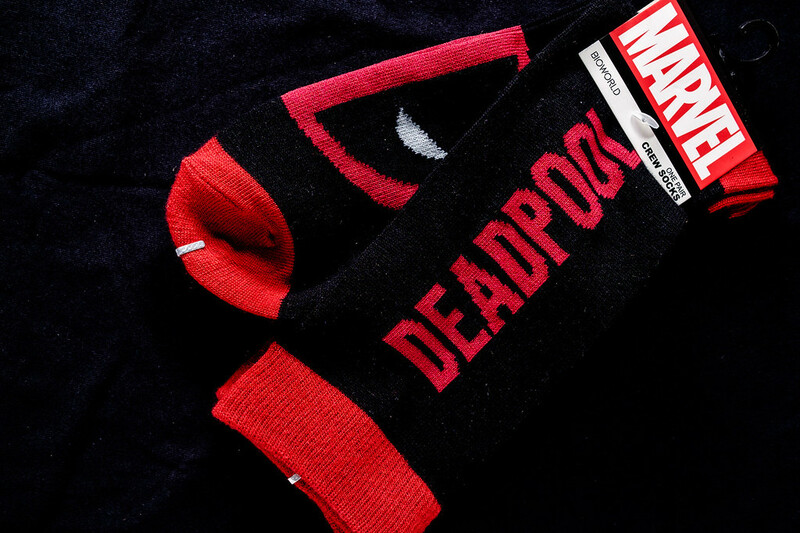 For the cool, there is nothing like opening a box you know is filled with awesome geek gear. That is probably the biggest draw, what is in it? The anticipation is so fun. And then Deonte box fulfilled that dream. Loaded with random items from a specific genre is pretty dang cool. 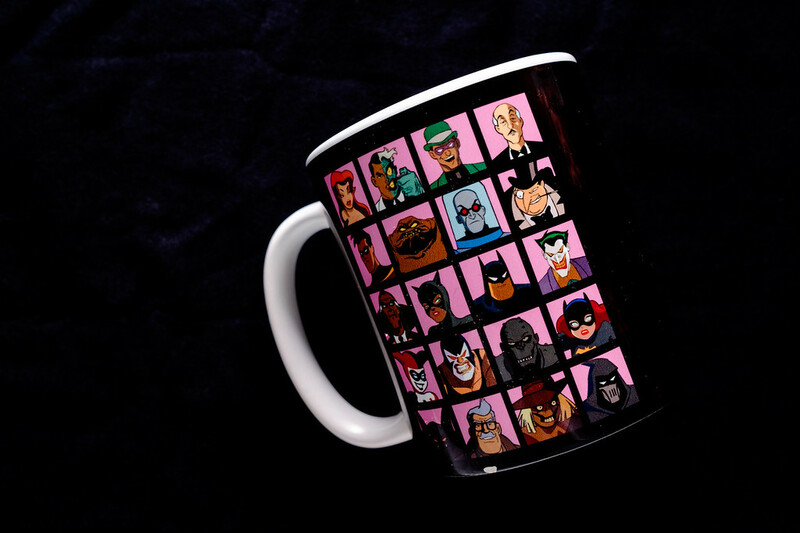 You get t-shirts, mugs, art and more. Just like with Pringles, you can’t just pick one, you will want to go back for more like maybe a different movie or game. Just like opening a birthday or Christmas gift, I really enjoyed seeing what was in this. Knowing that it was specifically curated for some geeky things that I like made it very fun. I found the items to be unique, and thought that as a gift for someone, Deonte box would be a great option. 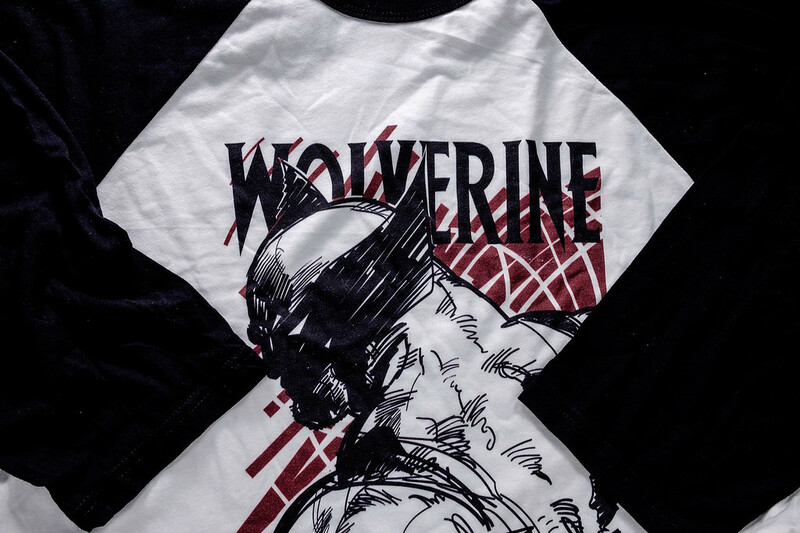 I was expecting paper thin shirts, but was pleasantly surprised to see both shirts were of good quality, just like the rest of the product. 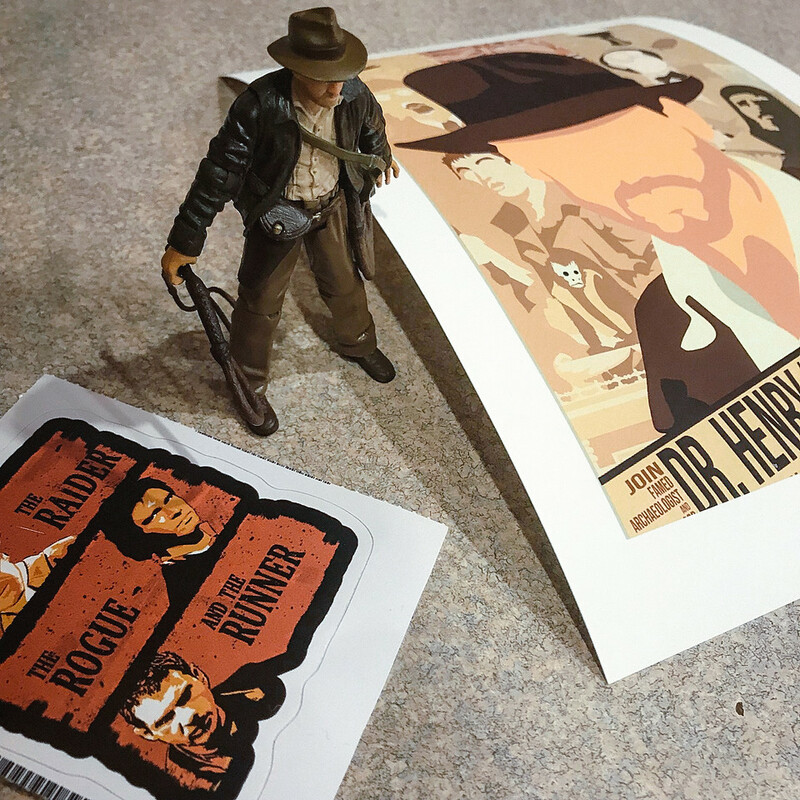 Now I just need to figure out where to stick the sticker and hang the artwork! I liked the variety and the box did a solid job of balancing the three interests I provided him with. I think it was cool that he took time to listen to our show and get a little better sense of the types of things he thought we may be into. 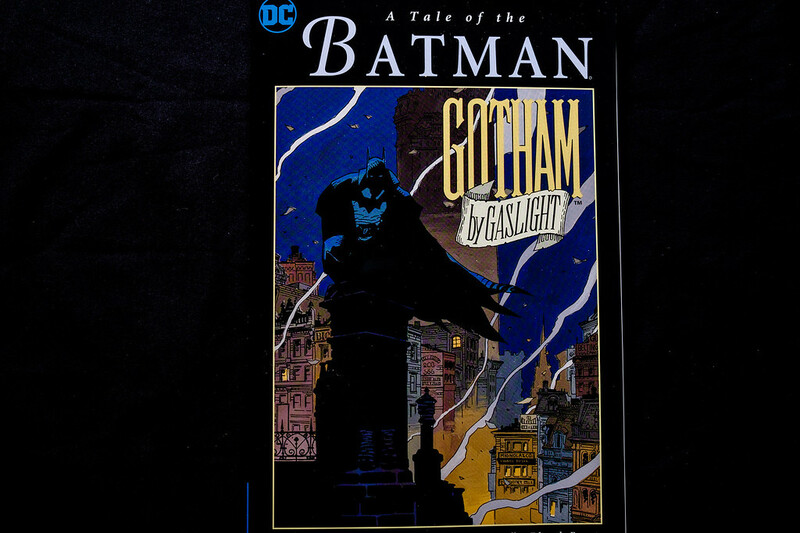 Case in point for me was the Batman: Gotham by Gaslight comic he included. That was something I had talked about a short time back and he correctly assumed I’d like it. The favorite items in the box however were the ones that most surprised me. 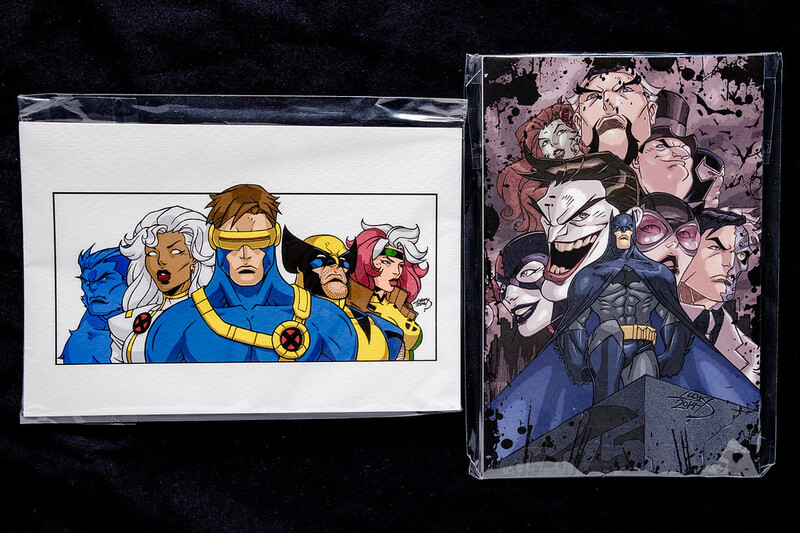 I’m talking about the 2 custom pieces of artwork with the X-Men and Batman illustrations. As a photographer and creative I really appreciated being able to own a cool bit of artwork like that. I also enjoyed the fact he took time to put together a custom play on our show with the Got Soup? shirts, just a nice personal touch showing it wasn’t just a box filled with mindless junk. Individual thoughts on the boxes – Now for the bad stuff. If I had to pick a “stool” it would have to be that variety (in my box at least) lacked a bit but that might have been special for the show. You see, I received three t-shirts which takes a couple items out of rotation. I would gladly have traded two t-shirts for other items, say a figurine or game music CD etc. Getting one of each item instead of three of one item keeps the excitement going. Now I am only commenting on this because Wayne wanted to know anything we didn’t like so I had to pick something. Overall great job and I wish him and Deonte Box a great future. It’s very challenging to come up with a negative on this! I would say that the price may be the inhibiting factor for standard subscription, but I agree with Dave that as a one-off or gift box – especially for those folks who are hard to shop for – may be a better market. Overall I don’t have a ton of negative stuff to say about the box. My Batman mug did arrive with a very small chip in the base, nothing to stop me from using it as it’s purely cosmetic, but it’s there none the less. 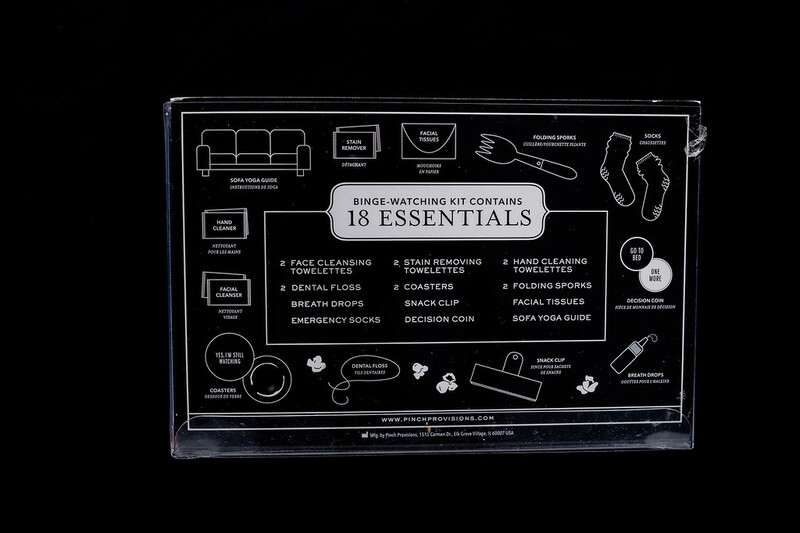 The binge watching kit, while a very fun and unique item, feels like an item I’ll likely never use or open. Though I am curious about the sofa yoga! I’m also not sure about the packing. The boxes come with his logo and they are a good quality box, however mine was completely covered in packing tape and mailing labels from the post office so I couldn’t really see what it was before opening it up. It’s a shame to have a box he’s taken time to customize with his logo and then cover it all in packing and postage. Maybe look to find a way to get one of those real thin boxes to drop the good box inside of so your marketing and logo are more clearly visible. My other concern would be the price. As a monthly subscription box I don’t know that I could spend $180 every 3 months on these, as fun as they are. You can purchase a one time box for $40-$60(standard-deluxe) so that is a decent alternative though. Not to mention a competitor, but many of the other geek boxes are around $20/month, though they aren’t customized just for you. Everyone gets the same box with those services. Final thoughts and our rating, will we serve it up or feed it to the dogs? While the customization makes Deonte Box stand out from the crowd, along with the fact you can literally get a box for whatever you need, so does the price. $180 every three months is a bit steep for the average person to spend. As a monthly subscription service Deonte Box may miss the mark just a bit. Though we’d be curious to see how the customization was handled from one month to the next. Would you get a new box each month with a different set of loot but on the same interests or does Wayne contact you for a new idea each month? That being said, while the monthly subscription isn’t really a strong point, we think Deonte Box is a fantastic one off gift idea. How many times have you been trying to figure out what to get for someone, be it a birthday, graduation, or any other special occasion and you can’t come up with a good idea? As long as you know a few basic interests about the person Deonte Box can put together a fantastic custom box around those interests and you have a super unique gift box filled with all sorts of awesome gear. 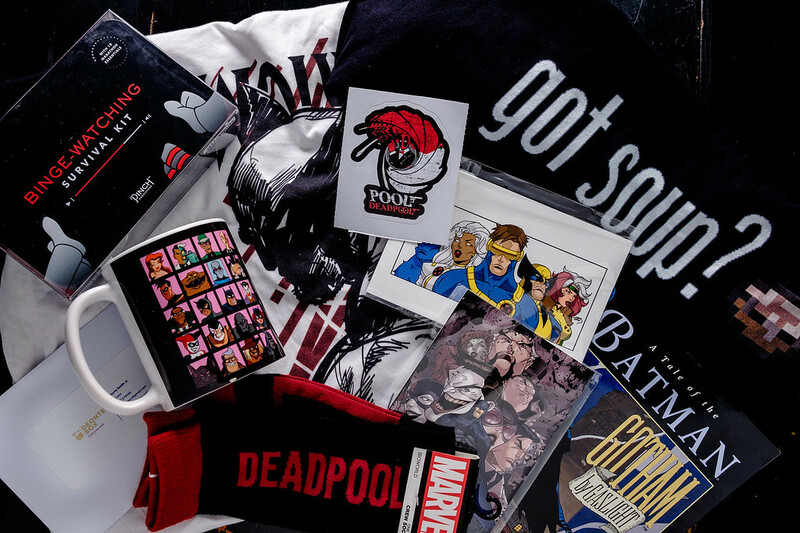 Makes shopping super easy for you, provided you have enough lead time to get the order in and shipped, and they will get a box full of awesome loot that fits their interests perfectly. Is there such a thing as a “PERFECT” service in the wold of loot boxes? We don’t know. But based on quality and customer service, Deonte Box was very good to work with. Wayne took time to not only find out our interests initially, but had kept in contact with me through the entire process. He let me know as the items were getting set to ship, when he had his ideas curated and then followed up when we received the boxes to make sure everything arrived ok. Whether that level of service was because we were doing a review, we have no way of knowing that of course. But he seems very genuine and we have to assume he’ll provide that same attention to detail with you should you decide to give them a try. Finally, unless you have the extra cash floating around, we think that Deonte Box is not a great option for a monthly subscription however it is a terrific one time gift idea. In fact you may find yourself going back and ordering boxes like this for all the people on your list. 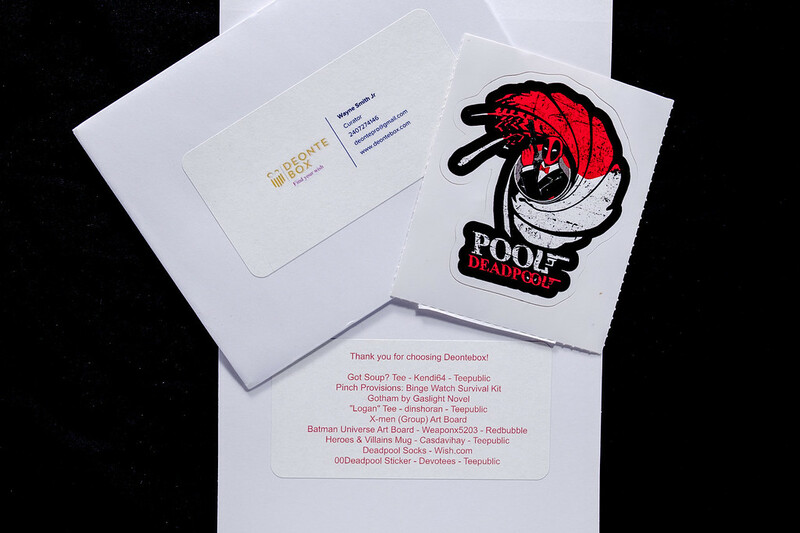 The personal curation and complete customization to your interests make this a truly unique gift idea that stands out nicely from the crowd. Not to mention that spending $40-$60 on a great personalized gift really isn’t that bad when it comes to price. Jason gives Deonte Box a 3 out of 5 stars. Adam gives Deonte Box a 4.5 out of 5 stars. Usually Dave gives Deonte Box a 4 out of 5 stars. That means that with an overall score of 3.8 out of 5 stars we say serve it up! We think you’ll enjoy the Deonte Box experience, especially as a one time gift for yourself or others! To check them out head to his website by clicking here! 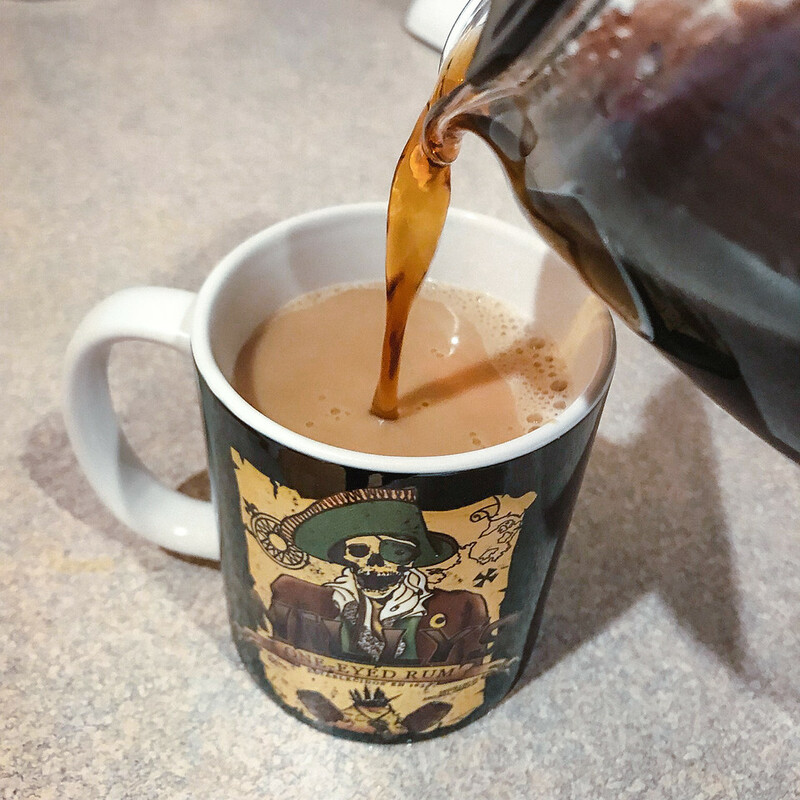 If you decide to give him a try we’d love to hear from you about your experience as well as see some pictures of the awesome loot you found in your Deonte Box, so feel free to shoot us a message via the contact form in the menu above or by simply clicking here! 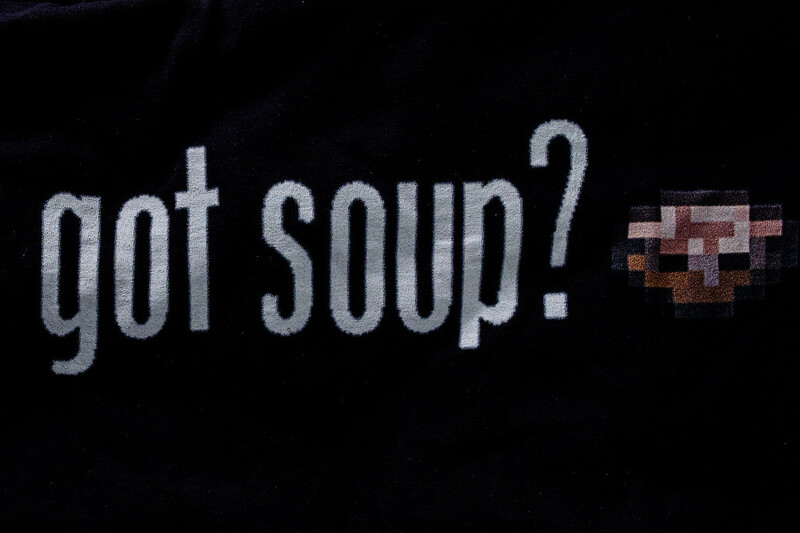 Of course stay tuned for new episodes of digitalSoup each and every week when the drop on Tuesday, as well as our monthly Souper Reviews episode that drops around the first week of each month.